If there is a group of Travelers interested in a vacation (one day or multi-day) that we do not offer or would like to arrange a private tour, give us a call. We custom plan vacations for many groups and can do the same for yours. If you prefer to do all the planning yourself and only need transportation, we can provide that as well. 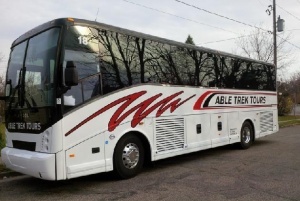 We have well equipped (restroom, TV/DVD, air-conditioned) 38 and 56 passenger motor coaches that are fully wheelchair accessible. 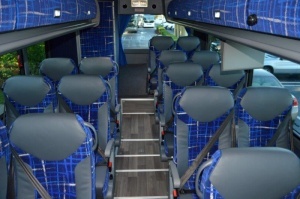 In addition to our pre-packaged tours we also provide motor coach transportation for any group to any destination. 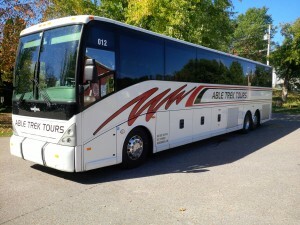 Our friendly and safe drivers and comfortable motor coaches make for a relaxed group travel experience. We have reasonable rates and are licensed and insured for nationwide service. Call for rates and information!